Sylvester Chauke is the brain behind DNA Brand Architects. This humble ambitious and hard-working creative hails from the dusty streets of Soweto. He confirms that he grew up in a very vibrant community—among a family that “embraced his ‘weirdness’ and fuelled his passion”. Chauke, who last year impressed the judges at the 2015 BBQ Awards and walked away with the Nestlife Assurance Young Business Achiever Award, alludes that he loves solving brand problems and confessed to be a Madonna die-hard fan. “By day, I specialise in creating magic for brands in a not-so-obvious way. I am a thinker, a dreamer and a doer; and have sold a lot of ice to Eskimos. I am a champion for the voice of young entrepreneurs, a World Economic Forum (WEF) Global Shaper Alumni, and a United Nations Millennium Development Goals (MDG) Sustainability Ambassador,” says Chauke, a board member for the SA State Theatre who claims to be ‘mad about the arts’. Chauke attended Leresche Primary School and matriculated at Nghunghunyane High School. He then furthered his studies at the University of Johannesburg, where he obtained a Bachelor of Arts Honours (BA Hons) degree in Marketing and Communications. “This played a big influence in my career choice. Fortunately for me, this is a space that I find very natural. So, it was a good challenge and I excelled in the subject matter,” he says. Chauke discovered his calling during his auditioning days in his pre-teens; and he says that’s when he realised his passion and love for advertising and communication. “At the time I was unaware of how deep the industry was, but I knew that I wanted to be part of it. So I went on to study marketing.” Whilst he was at varsity, he had a stint at Foote, Cone & Belding (FCB)—one of the largest advertising agencies in the country. He says that was where the fire was ignited. He went on to work for advertising agencies like Ogilvy & Mather and DDB SA prior to his big break at Nandos as National Marketing Manager—which he phrased as a springboard for his career. His skills, drive, determination and professional qualities landed him the role of director of marketing and communications for MTV Networks Africa. “I always had aspirations to work for MTV Networks from the very first time I heard they will be launching on the continent. So working there as the Director of Marketing was one of the most awesome highlights of my career. I needed a greater challenge with a pan-African approach to marketing and this is where I found it. “Working for a broadcasting platform is incredibly fast paced and you need to be nimble—that is a quality that I embody. I work really fast and very malleable. I have learnt to react quickly, without losing the quality of what is to be delivered,” says Chauke. Directing marketing and communications for a brand like MTV Networks Africa is not completely a privilege occupation; it has its own setbacks. He confessed that the most challenging setback for him was not always fitting in with the processes. “I also realised that there was an inherent need for us Africans to also build our own business that could go global. We need to be doing more of that. And I believed I had the talent and energy to do so. “MTV Networks Africa taught me the importance of a Pan-African ideal, an agenda that I learnt from Alex Okosi, Senior Vice President and Managing Director at Viacom International Media Networks Africa. He is an ambassador for the continent and he made me fall in love with the talent and sheer vast opportunities that the continent holds,” he says. 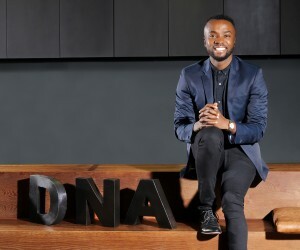 Chauke alludes that DNA Brand Architects was formed to authentically connect brands with consumers in a unique and special way; and that they have been helping brands to generate remedies that are true to their DNA. Like many businesses in their inception stages, DNA Brand Architects was beset with challenges. “We faced some teething phases and had to overcome some challenges to build the credibility and reputation we have today. I knew that I would be challenged daily in managing the areas of the business that are not just about marketing. The operational aspects—especially the people aspects, were most challenging. I knew, however, that difficulties are a part of the process towards making any business stronger than what it was before—and we have proven to be able to thrive under any circumstances. On the topic of transformation, the dynamic Chauke is of the opinion that a lot needs to be done to transform the industry. “South Africa is world class! Despite the many challenges that plague our industry, we still manage to come up with marketing solutions that are of international standards. I think the challenge, however, is that we need to look deep within and start challenging ourselves a lot more, and doing more than to elevate American and British inspired ideas—and ways of solving problems. We need to start setting our own trends and ensuring that we do things our own way—the South African way. Our country is a great mine of ideas, and we need to extract those ideas and turn them into opportunities that will get internationals coming to us for counsel,” he says. Referring to his 2015 BBQ award, he attributes that to feeling inspired by the possibilities ahead and through inspiring a nation of thinkers and doers by the work he does. 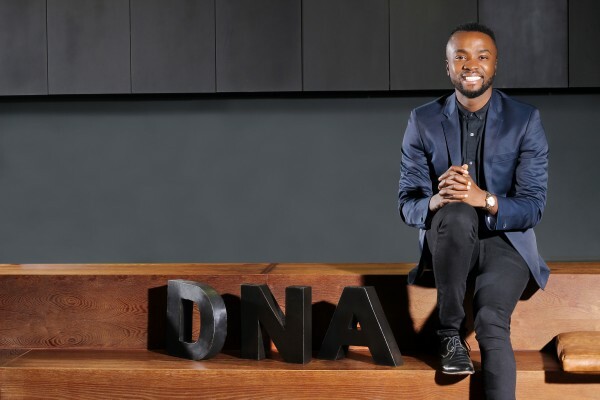 “DNA Brand Architects is a youth-owned and run enterprise; as a result that prides itself in the talent that young people have in shaping big business. From the onset, I wanted to set up a business that would sustain and grow itself from the work we do, and from our way of doing business. So whilst we are ‘youth’, this should never even matter for business, because we deliver great work. I did not want business to say: ‘Shame let’s support this youth-owned business’. I wanted business to work with us because we are good and happen to be young. “I know many young entrepreneurs that open doors to their enterprises every morning—and this category is so important to showcase the quality of business that are being run by young people, because there is a misconception that our businesses are Mickey Mouse, and they are far from it. Love what you do. As I always say to my team, love is in the detail. When love is not there, you will always be able to see it. Be in sync with what is going on in the world. You cannot expect to run a successful and thriving business if you are not in the know. Don’t burn your bridges. Keep good relations with people because you never know when you might need to work with them again. Less yapping and more doing. Set goals and work hard to achieve them. Hold yourself accountable for your own success and upward trajectory. Do not be afraid to take risks. Challenge yourself and your business to be the best possible version it can be, so as to not breed a culture of complacency. I tackle it head-on (after a nice long walk). I do not shy away from it. Failure doesn’t mean you have not achieved and I believe you have to have a healthy relationship with failure because it happens a lot in business. It must not break you but should inspire you to fight on. When disappointed I choose to see the positive side of things and know that things will work out for the best. I have enough of a track record when I thought I may not pull through, but voila, I did!! So give yourself a hug, look forward and imagine that it is all sorted! Should his business be bankrupt and shut down, how would he pick it up and get it back on track again? What a scary question! I believe I have been given a brain that functions and have gained some experience along the way from my successes and failures. I would sit in the middle and chart a new path… with lots of prayer, and lots of quality time with my friends and family. Then I would start rebuilding the new and improved masterpiece!! Independence is the ability to do the things you want to do at a time that is best for you. As an entrepreneur, we keep pushing and I doubt there would ever be a time when I would sit back and say, I have made it, because I always want to keep sharpening what I do and improve it daily. You have to get out of your shell. People quickly forget boring people! To thrive in business you need to be able to leverage relationships with people and put yourself out-there. Sitting in a corner thinking that people will come to you is not going to happen. Get to work!